Mariana Ornagua did not seem like the kind of patient who would give a doctor trouble. She had gone out of her way to be tested for tuberculosis in mid-November, waiting in line after her English class at the New Haven Adult Education Center to see the visiting TB nurse. A few days later, Ornagua took more time out of her schedule to get her results. The tiny bit of TB protein that had been injected into her forearm had raised a dark reddish welt about the size of a penny: a sign that the disease was present in her body. The nurse told Ornagua that the Winchester Chest Clinic could determine whether or not her immune system was keeping the disease in check—whether her TB was latent or active. She followed the nurse’s advice and set up an appointment at the Winchester as soon as she could. Her cooperation with the medical system continued: On November 30, she showed up for her appointment at the Winchester, located within Yale-New Haven Hospital. When she was given a bright green mask, she dutifully put it on and let herself be whisked into an examining room. Ornagua is a slight woman of thirty-two, with a shy smile visible behind a cascade of hair. (To protect the patient’s identity, her name has been changed.) To most of us, there would be nothing remarkable about the image of her sitting in the examining room, her coat scrunched in her lap. All she had done was show up for a medical appointment. But in the eyes of the medical system, her presence at the Winchester on November 30th was a sign that she could be trusted. The populations in the United States who are most likely to be infected with TB are the homeless, the alcoholic, the drug-addicted, and recent immigrants. If you don’t speak English, don’t have a permanent place of residence, are juggling two jobs, or have run afoul of the law, a hospital is a scary place, with its endless series of official forms to fill out and its hierarchy of orderlies, nurses, residents, and doctors, all of whom seem to wield a God-like power over what happens to your body. Once you enter, it seems that you give up whatever autonomy you had outside, and so you are unlikely to seek out a TB test. If you do get tested and are positive, you are unlikely to show up for your appointment. And if you do show up for your appointment and have active TB, you are unlikely to finish the course of your treatment, because the medications will alleviate most symptoms after the first couple of weeks and the medications have some nasty side effects, including vomiting, stomach aches, urine discoloration, extreme lethargy, and a potentially fatal inflammation of the liver. Up to thirty-one percent of recorded TB patients in the US have refused to come in to their appointments or to take medication. For decades now, physicians and public health officials have viewed non-compliance as the single biggest roadblock in treating this country’s TB problem. Once known as wasting disease, or consumption, TB is an infectious disease that has plagued humans since the Neolithic era. The disease is transmitted by the microscopic beads of liquid we release into the air when we cough, sneeze, talk, or laugh. If someone walks around with untreated TB, they are likely to spread it around their community. This sounds bad enough, but it gets worse: If the person has begun treatment and allowed it to lapse, the disease will have had the opportunity to become resistant to the drugs prescribed. The beads of liquid the person emits with each cough or “How are you?” then carry a strain of TB that the standard regimen of drugs cannot cure. Patients who don’t take their medication could be creating ever-more-invincible strains of TB. This threat can feel very remote. Most of us think of TB as a disease conquered by antibiotics, an affliction of our forebears and of the Third World. We cannot imagine anyone in our city wasting away because of lungs infected with tuberculosis bacteria. Yet people all over the US—people like Mariana Ornagua—suffer from TB, and their non-compliance could have very serious consequences. The aggressiveness of DOT has brought TB to its knees in the United States. The number of people infected with active TB is the lowest it has ever been—in 2011, there were just over 10, 500 reported cases in the US, less than a tenth of what it was in 1953 and less than half of what it was in 1991. Doctors and public health officials credit DOT with those happy statistics. While DOT may be a public triumph, it can also produce private tragedies. With it, doctors and public health officials are trying to solve the problem of patients disregarding their doctor’s orders. But sometimes the doctor’s orders don’t take the patient’s whole situation into account. The word “non-compliance” brings to mind a hardheaded refusal on the patient’s part. Yet more often than not, the DOT regimen demands a debilitating commitment from the patient without providing the support that would make such a commitment feasible. And as TB funding gets cut, public health departments have fewer avenues to tailor treatment to the patient’s needs. As Ornagua waited on November 30th, Dr. Hilary Cain pulled up her chest X-ray on a computer in the clinic’s conference room. Ornagua’s ribs were a series of graceful arcs, broken only by the white ghost of her heart. But what Cain was interested in was an area at the top of her right lung. Before Cain headed into the examining room, Ming Lai, the nurse who runs the Winchester’s TB program, handed her a turquoise mask like the one Ornagua was wearing. These masks—N95—are supposed to block out everything larger than 0.3 microns if used properly. “The misuse of these N95 respirators may result in serious injury or even death,” reads a warning in fine-print on advertisements for N95. Cain pulled both straps behind her ears, and molded the metal bar to the shape of her nose. “If you can’t breathe, you’re wearing it right,” Lai said wryly. This small patch of green fabric was all that would protect Cain from Ornagua’s germs. But when she got into the examining room, she found that Ornagua herself had not properly put on her mask. It was upside down, with one of the straps hanging uselessly down her neck and the metal bar resting loosely against her chin. Not wanting to embarrass her patient, Cain made no mention of the misuse. “I am Dr. Cain,” she said, taking Ornagua’s hand before sitting down beside her. Cain felt immediately that Ornagua was a patient she could trust. Ornagua was good-natured and polite, answering Cain’s questions as best as she could through a Spanish-speaking interpreter in the examining room. Her hands lay folded on her jacket and purse, which were piled in her lap, and she calmly maintained Cain’s eye-contact. Every so often, she jiggled her pink and white Sketchers, betraying her nervousness, but mostly she sat still. Cain’s confidence in Ornagua was bolstered even further when she heard about Ornagua’s responsibilities. Every morning, she got her twelve-year-old son ready for school before walking him to the bus-stop. She spent the rest of the day balancing domestic duties for her family with English classes at New Haven Adult Ed. Then, at night, she worked as a cleaning lady in an office building. Ornagua was not displaying any external TB symptoms: She wasn’t coughing, losing weight, getting fevers, or being kept up at night by chills and abundant sweat. But the lump in Ornagua’s chest was worrisome enough for Cain to treat her for active tuberculosis. “I’m still concerned that you have active TB, and so I’m going to start you on medication,” said Dr. Cain. Ornagua nodded. The fact that her lungs were infected with a deadly contagious disease didn’t seem to scare her much. This was the first time that Ornagua’s composure began to crack, her eyes flicking from Cain to the interpreter and back again. “I am in school and I need to finish the semester.” Ornagua’s voice was plaintive, but the interpreter’s tone stayed even. His expression never wavered from its baseline of discreet concern. He kept his hands folded demurely in front of him. Cain left to begin filling out a prescription. “She seems responsible,” she said to Lai as they passed in the hallway. “I think she should come back in a month.” Ornagua didn’t drink, use drugs, or live on the street. She hardly fit the profile of a non-compliant tuberculosis patient. Lai came out to tell Cain, who rushed back into the room. She told Ornagua that she would have to be admitted to the hospital if she couldn’t stay at home, and Ornagua began to cry. When Cain mentioned the possibility of summoning a police officer, Mariana became even more upset. She had come to New Haven from Ecuador seven years ago. Whether or not she had legal status as an immigrant, it could be disastrous for her family if a police officer showed up at their door. Cain and Lai didn’t know what to do. They left the examining room and stood huddled in the white hallway of the Winchester, discussing their options. They couldn’t send her home if they thought she would be exposing her community to TB—it would be both illegal and unethical. After all, their first duty was to make sure that Ornagua didn’t spread the disease. But they didn’t want to call the police on her either, as they would be endangering the life she’d built in Connecticut over the last seven years. Forcibly keeping her in the hospital wasn’t much more appealing. Ornagua was their patient. Her well-being was their responsibility. They were here to help her. But neither of them could figure out which course of action would cause the least harm. The dilemma that Cain and Lai faced was exactly the kind of situation that DOT was supposed to solve. The Center for Disease Control and Prevention (CDC) allocates a budget to each state’s public health department to cover TB care and meds. The program is designed to preclude a TB epidemic by providing the patient with free, humane, personalized treatment. For many patients, DOT has been just that. If there is anyone who knows about the success of DOT in New Haven, it’s Maureen Bruce. Bruce has the build of a linebacker, and although her eyes are warm, they have a bloodhound’s intensity. From the early 1990s until 2009, Bruce was the public health nurse responsible for DOT in the city of New Haven. Bruce used that first meeting at the Winchester to determine how she could find her patients once they were released, so that she could make sure they were taking their meds. For some that meant visiting their house, coming into the living-room. For others, she drove to the door of the factory where they worked, and they would come out, sit in the front seat of her car, and take the pills she gave them. For her homeless patients, she would meet them on a street corner or in one of New Haven’s shelters; often she would get the shelter to bend its rules so that the patient could stay and wait for her there after the other sleepers had been kicked out at seven AM. But her devotion went far beyond meeting up with her patients at their preferred spots. She would drive them to their doctor’s appointments, take them out for coffee and a Danish, bring them groceries, or take care of their kids. “I had one man who was homeless,” she recalled, “and as long as I had clean socks for him, he would go to his doctor’s appointment. I would go to BJs, and I would buy bags of socks and keep them in my trunk. As long as I had a pair of clean white socks, he would get in my car.” Bruce lent another patient enough money for her to make the down-payment on a car. Bruce is not handing out socks anymore. In 2009, her position got cut down to just nineteen hours a week, and she had to move to another position at the public health department to keep working full-time. If the position of DOT nurse for New Haven were still a full-time job, at least Lai and Cain could have relied on someone other than the police to check that Ornagua was staying at home. But Bruce’s replacement only works half-days. And yet, at its root, the problem is not one of enforcement. Rather, public health officials need to make DOT a program that a patient is able to comply with freely. If a doctor asks a patient to stay home, that means compensating for the patient’s lost salary. For most Americans, the idea that the state of Connecticut pays for Ornagua’s TB meds and care is already impressive enough. But there was a time, when Bruce was still working as a TB nurse, that the Connecticut Department of Public Health would pay patients’ rents when they weren’t allowed to go to work. That means that they were able to get treatment for TB without risking eviction. These cuts—of the budget to supplement a patient’s rent, of the DOT nurse’s hours—turned out to herald a larger trend. This year, the CDC announced even further cuts to the TB budget allocated to each state. In the eternal fight for funding, TB lost a little ground because numbers of infection have been going down. What the people making the budget failed to realize is that these funding cuts will make cases like Ornagua’s not just more difficult to solve, but also more frequent. TB experts know all too well what happens when TB funding gets cut. The last time there were significant cuts was in the late eighties. TB numbers had taken a nosedive since the advent of drug therapy in the fifties, and with fewer and fewer cases of active TB, American public health officials believed they were well on their way to eradicating the disease. The CDC and other public health organizations, always pressed for funds, could shift some of their TB money to the prevention and control of other illnesses. Dr. Lloyd Friedman remembers that era well. His desk at the Milford Hospital Intensive Care Unit is covered in towers of articles and patients’ files, which are all linked to TB. One can’t help but think that his mind might look similar: endless reams of TB history waiting to be recalled with a scrunch of his chiseled face. To Friedman, that number seemed higher than it should have been, and he became increasingly concerned that the US was heading into a TB epidemic. But the public health officials remained steadfast in their belief that TB would soon be a disease of the past, and Friedman’s warnings went unheeded. “I came out with an abstract describing the problem, and nobody would publish it,” Friedman said. Friedman’s inklings turned out to be right. Looking at the data today, you can see a spike in TB numbers beginning in the late 1990s and peaking in 1992 and 1993. The spike was partially due to the AIDS epidemic, which allowed TB to piggyback on the virus’ destruction of immune systems, easily infecting people who otherwise might have warded the disease off. 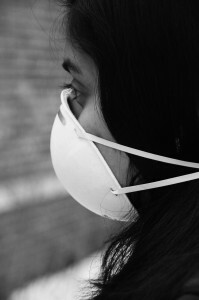 In 1993, the World Health Organization declared that there was an international TB crisis. American public health officials could no longer ignore the number of TB cases within their borders. DOT became a part of American public health policy to counter that epidemic. As the CDC allocated more TB money to public health departments, and as nurses like Maureen Bruce began to visit patients’ houses, the TB numbers began to fall again. By 1996, they were lower than they had ever been in the United States, and the trend has continued. But the CDC is now falling into the same sinkhole it did in the late eighties. Taking the success of DOT programs as a sign that the disease is on its way out, the CDC has made over a million dollars in cuts and has reorganized the funding so that states where TB control has been deemed effective are not eligible for as much money as they received in the past. Epidemiologists like Sosa are in the business of reading trends and speaking in statistics. But the problem with these funding cuts is not simply that they could spark another epidemic. They also fail to acknowledge that TB is still a problem for patients like Ornagua, and that the medical system is not doing enough to solve it. Some doctors have come to view the term “non-compliance” as a form of medical name-calling. It pins the blame on the patient, leaving no room to question the orders the patient is obliged to follow. There is no doubt that contagion needs to be prevented, and in DOT public health officials have found a very effective way to prevent it. Given that the program’s strength lies in the way it can be personalized, it does not seem that hard to extend that personalization one step further, so that TB treatment helps patients unequivocally, without posing any threat to their jobs or their families. Yet to do that, the CDC would have to increase TB funding instead of cutting it. When she went back into the examining room to discuss the options with Ornagua, Cain understood that forcibly keeping Ornagua in the hospital would not only be traumatic, but also pose a public health risk. Ornagua’s distrust would only have deepened if she were made to stay at the hospital, and she would have passed that distrust along to her friends and family. In keeping Ornagua in the hospital, Cain would essentially have been discouraging other people in Ornagua’s community from getting tested for TB. Ornagua’s regret was very real. Like her friend, she felt that having undiagnosed active TB would have been better than being forced into this treatment system which could potentially threaten her income and the well-being of her family. Despite her exemplary compliance when getting tested, in getting the results, and in coming to the Winchester, she saw the nurses and doctors at the clinic as people who were hurting her rather than making her better. Cain tried to imagine other solutions that would allow Ornagua to stay home without losing her job. She asked Ornagua if she had family or friends who could take her shifts at the office building. Ornagua said that she lives with her husband and sister, each of whom already works two jobs. They just didn’t have time to add other tasks to their list. But Cain pressed on: Perhaps they could take over for Ornagua, just until the TB medication took effect and she was no longer contagious? Wasn’t that better than being kept in the hospital or having the police show up? Framed that way, there was no question. Ornagua agreed. Her husband would find the time to clean the office building at night, and her sister would take over whatever household tasks that required leaving the house. Ornagua would stay home and wait for the DOT nurse to give her the prescribed meds. Calmer now, Ornagua provided a sample of phlegm, and was allowed to leave. But the case still bothered Cain when I went to talk it over with her at her office a week later. She pointed out that the DOT system in place was very good at protecting the general public from TB, but that it could be tragically detrimental to the patient.